The digital revolution has given consumers the power to learn about or review and rate a business online. Over time, the reviews, ratings, comments, and the overall digital presence of a business cultivate a certain online reputation for it. Most businesses now prefer to invest time and resources in online reputation management (ORM) to get ahead of their competitors. ORM refers to strategies and techniques employed by a business or brand to ensure the right listings come up when people conduct an online search. This also involves achieving prominence on social media, blogs and review and rating websites for all the positive news and commentary, while relegating any negative reviews and controversies about your brand into the background as far as possible. A good ORM strategy requires thorough knowledge of search engine algorithms and constructive techniques to ensure that your brand’s online reputation is maintained without committing any unethical or dubious SEO activity that could attract search engine penalties. In today’s digital marketplace, online searches have become so pervasive no business or brand can survive for long with a low or poor online reputation. 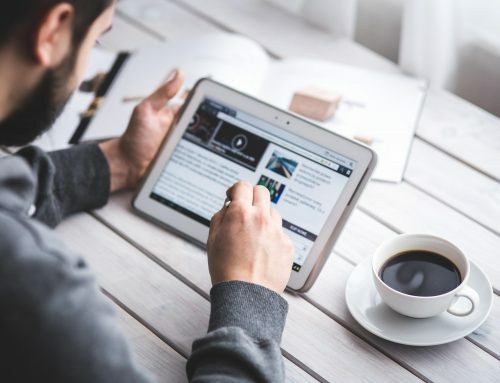 At one time, what used to be a passive PR activity for large firms, has now become a proactive exercise for all kinds of businesses and brands in digital environment. Here are a few key reasons why you should invest in building a robust online reputation for your business or as a professional practitioner. Most people now look towards search engines as the first step to find information or gather specific knowledge about any product or service of their interest. Your brand or business image can be compromised if the first thing that pops up in search results is a list of negative comments and reviews. As per various research reports, more than 70 percent of consumers today search for online reviews before trying out a new product, service or brand. Consumers feel empowered when they provide a positive or negative review or share their personal experience with others about a product or a company. Websites and search engines like Yelp, Google, Bing, Facebook, and other social media portals, in fact, promote and encourage comments and reviews. These reviews are important to your business as they influence the decision of a potential consumer and also impact search rankings. On the flip side, a bad review can easily spoil your brand’s online reputation, particularly if it goes viral. Having a dedicated online reputation management strategy is the right way to protect your brand’s interests in such a situation. Marketing is essentially about brand building where you invest significant amounts of money and resources to convince customers about your quality and commitment to the consumer’s interest. Internet is, however, a free arena that is largely beyond your control. In this environment, careful brand building and online reputation management can make your business grow and flourish, if it is done the right way. Once it is established, your online reputation will last for a long time on the Internet. A negative review can put you at a serious disadvantage especially if you are not aware of it and have taken no steps to counterbalance it. This can have a serious adverse impact on your business over time, if such negativity grows. Proactive online reputation management is, therefore, vital for your long term business growth and success. Is it Important for Small Businesses? If you have an online presence even as a small business, you should have an active online reputation management in place. Lack of proactive ORM can potentially make your business an easy target for naysayers and detractors, who could create a one-sided or unfair image about your company through negative review. You could put your small business in a precarious position by not investing in an effective reputation management effort because all negative reviews and online posts will show unchecked when someone searches your brand name online. 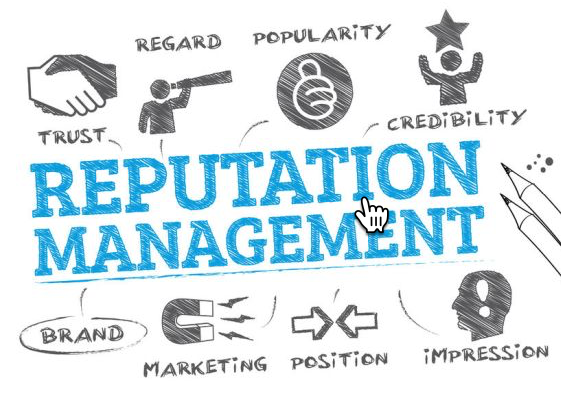 If your brand is tied closely with your name or certain managers and executives, then you need to invest in individual proactive online reputation management strategies. If you are an independent practicing doctor, lawyer, consultant, architect or another professional with a website of your own, your online reputation is equally vulnerable, and you may need systematic ORM to achieve your business goals in the long run. Though they are closely related, your existing SEO manager may not effectively succeed in boosting your online reputation. SEO is about promoting a website or an online page to rank in the top few search listings. Online reputation management on the other hand is about handling reviews and comments on third party websites and online pages that appear in the search results when someone searches for your brand online. SEO is focused on getting one particular site or page to rank on the first page. ORM ensures that there are collective websites or pages that rank on the first page when someone searches for you or your brand. ORM strategies are developed to ensure that the same complementing stories are said in different ways on different portals. When you invest in SEO tactics, you want your particular site to rank higher than the competitor’s. ORM is a little different here. ORM strategies focus on displacing negative review websites to move down in the search engine rankings. Not many people go beyond the first page of search results. SEO and ORM both focus on targeted keywords. However, the impact and purpose of these keywords are different. In SEO, you want your website to rank high to get more target visitors for a particular string of keywords. In ORM, the goal is not to increase target visitors. ORM campaigns ensure that people see particular relevant information while searching with specific keywords. In other words, they do not see negative or irrelevant information that impacts their decision adversely about your brand or business. Online digital marketing is incomplete without a proactive online reputation management strategy. It is best to hire specialists to keep your online reputation clean and solid. However, you can follow this DIY guide if spending extra cash on outsourcing professional ORM services does not sit well with you. You first need to know what you are up against in order to tackle it effectively. Monitoring your brand’s online presence is an effective way to understand where you stand in the scheme of all things online. You can start by searching through the first two pages of search results in popular search engines like Google and Bing. Make sure to look at all images that rank high. You should also conduct separate search for all names your business has ever been known by or other businesses that you were ever associated with. Look for auto-suggest keywords and terms and every other search term that you can think of. Do an intensive and exhaustive search to get a clear picture. Create a catalog folder with screenshots of everything you find. Make sure to bookmark everything positive and negative that you find about yourself and your brand online. Set up notification and Google Alerts for every keyword search term. 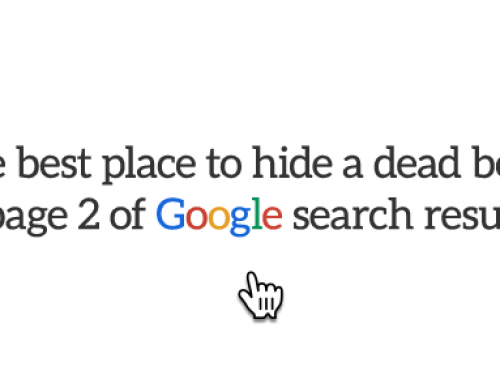 This will give you instant alerts whenever someone searches for you or your brand. This only needs to be done once. You will be aware of everything being said about you on the Internet. This is also the right time to claim your business online if you haven’t already done so. Make sure you list your business on Google, Yelp and any other business review site you are listed on. This will give you direct notification alerts of new complaints, reviews, and comments. Well, not all, but least the ones you can. You need to be active on social media accounts such as Twitter, Facebook, Instagram, and all other platforms relevant to your business. Make sure that you claim web profiles on all social media accounts you can think of. You can also purchase closely related domain names directly from sites like GoDaddy.com. This gives you a two point prong benefit. On one hand, leveraging web properties gives you a new way to bring your brand’s name into search results when people look for you. On the other, you prevent any rival competition from misusing these web properties to cause adverse impact. Make sure to increase all privacy settings to the maximum extent allowed for all your social media accounts. Transfer your business contacts to business accounts from your personal account so that only your close friends and family can see your personal information. You might have to focus on promoting individual names if your brand sells multiple products under the same umbrella. You need to focus your efforts on building online materials and social profiles to encompass all the various products or services your brand offers. You definitely ought to develop content to make these individual products rank as well. You may need to expand the process of claiming web properties to include these individual products. You need to continuously educate yourself and keep up with the changing trends in the world of digital marketing and ORM. This is where hiring an online reputation marketing expert might begin to seem like the easier way out. You will need to get your hands dirty in collecting as much information about this field as possible before you sit down to create a long term plan that is both realistic and functional in keeping your brand’s online reputation squeaky clean. Search engines churn out information based on algorithms. Hence, you need to create an ORM campaign for search engines as much as you do for humans. Popularity is the measuring yardstick used by these algorithms. It is impossible for search engine algorithms to tell whether reputational information about you is accurate or not. Steer clear of all negative pages. Under no circumstance should you ever link negative content to your websites or social media pages. Base all your reputation management actions on the assumption that the internet never forgets. Search results are not arranged in chronological order. You must build your campaign focused on generating positive responses that will rank for years in the search results. If your online reputation is already under challenge, then make each negative review or comment an individual goal that either needs to be removed or resolved. A typical campaign can last anywhere between six months to a year. So, be patient and keep working to maintain consistency in your social media posting schedule and blogging. Do no waste precious time and start focusing on OR as soon as you develop and launch a campaign. Your personal branding should match with your business brand so that you do not claim to be different persons on different levels. While creating your individual online brand you need to focus on certain key aspects – how do you want your associates and the world to view you as a business person. You can make use of your newly created online reputation campaign to give direction to posting schedules and content creation. Set a schedule for yourself either monthly or quarterly depending on the online presence of your business to review keywords and search terms. Revisit every bookmark of Step 1 and check for fresh content, comments, or reviews. Repeat the process of cataloguing screenshots of everything positive and negative. Compare it with your ORM strategy goals and draft a new plan for anything negative that slipped through your tight digital net. Do not let lack of progress bring you down. Quick results and digital marketing do not go hand in hand. In fact, it takes upwards of 80 hours in a month dedicated solely to online reputation management to see visible results. A regular schedule check-in will help you understand where you stand in terms of achieving long term goals. You can tweak your approach to maintain consistency. Online reputation management requires investment of time and effort to be successful in the long term. Do not make the rookie mistakes that many small businesses make and do not ignore proactive reputation management. You can make remarkable progress in terms of building your online reputation by following ORM best practices. At the same time, you should you keep up with the latest trends. Understanding how algorithms work is a major step towards ensuring that you can achieve your ORM goals effectively. In today’s times, every business that directly sells to end-consumers ideally needs a dedicated ORM manager or a strategist. ORM can be a powerful tool if you are able to leverage it effectively for your business.